Broadcasting radio over the Internet is an extremely common practice these days, especially with the prevalence of satellite radio. In fact, it’s rare for a radio station today to not broadcast online. This increasingly popular practice of live streaming radio online does come with a unique set of challenges. Below is a quick tutorial on the process of how to effectively broadcast live radio and a list of best practices for engineers and producers. This information should get your radio station up and running online in no time. Internet broadcasting presents an array of advantages over traditional radio broadcasts. The biggest advantage is that your stream can be accessed by anyone around the world, not just the people in the vicinity of your transmitters. This can garner an infinitely larger audience that might not otherwise be able to access your content. Another related advantage is reception, which is much smaller problem when broadcasting over the Internet than radio. An Internet connection can be a cost-saving measure for broadcasters, since Internet servers generally allow for cheaper storage and bandwidth rentals than radio transmitters. Internet radio also has the major advantage of relying and broadcasting on the world’s most ubiquitous platform for media consumption. Traditional AM and FM radio broadcasts aren’t disappearing any time soon, but they are getting less and less popular—especially with young people. Internet-based media, however, continues to grow in popularity. 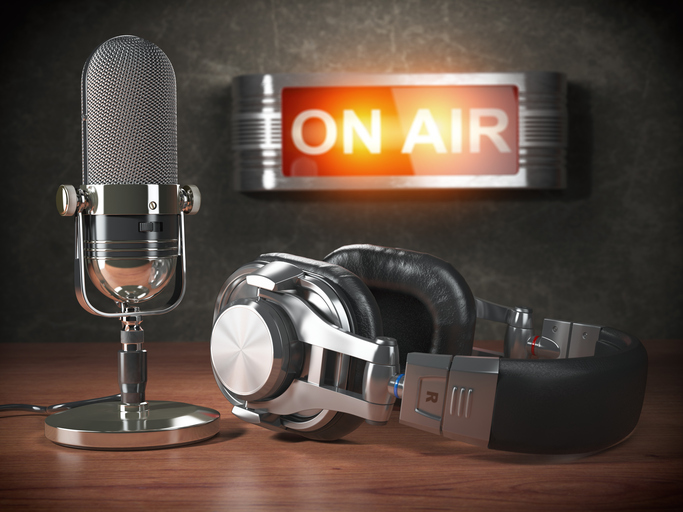 Online radio broadcasts consist of three main parts. The first is the source: that’s you or your broadcasting organization. The source’s main job is to provide a stream of live audio content that’s appropriate for your station. This can consist of live audio being taken from a microphone or playlists of previously recorded content like music, interviews, and conferences. The second element of online radio is the server. The server takes your audio stream, replicates it at different bitrates (for listeners with various Internet connection speeds), and delivers it to listeners around the world. The final element of broadcasting online radio is the listener. With Internet radio, this can be anyone with an Internet-connected device, anywhere in the world. To stream live audio over the Internet, your stream needs to be compressed (in order to reduce file size) and uploaded to the server. This process requires some specialized software, but it’s quite easy to set up. The simplest software package for this purpose is Winamp with the Nullsoft SHOUTcast Source plugin. Available for both Windows and Mac, this software is free and easy to use. Another free option for Mac is LadioCast, which has features including Icecast, RTMP, and SHOUTcast audio source streaming, support for multiple servers, and encoding to OGG, AAC, and other variations. Two more professional options suitable for Internet radio stations are SAM Broadcaster Cloud and Broadcaster Pro, which are available for both a subscription ($5 per month) and flat rate ($299). These packages offer a wide range of features including advanced audio processing, multiple player decks, streaming in multiple formats, listener statistics, and more. 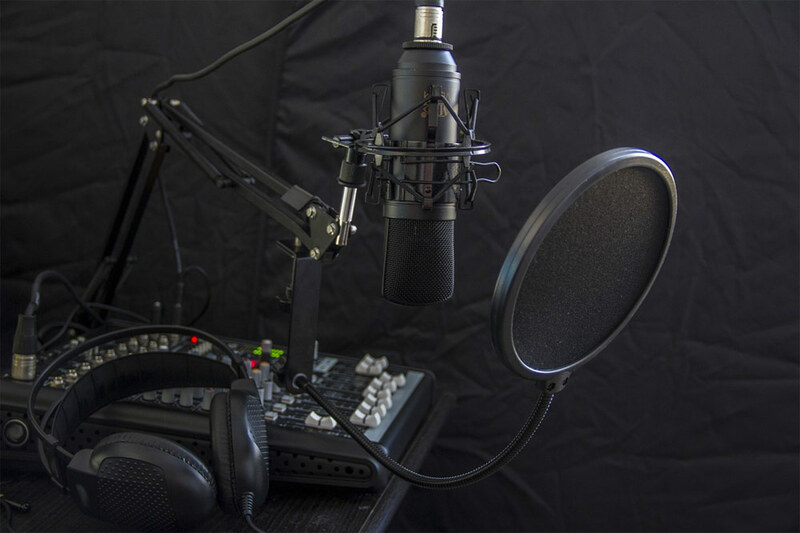 The other elements of a successful live audio broadcast include a good microphone and a solid Internet connection. USB microphones are widely available and deliver good audio quality in an affordable package. The Wirecutter argues that the Blue Yeti is the best USB mic available today, and it currently retails for about $110. An adequate Internet connection for live streaming should have an upload speed at least twice as fast as the maximum bitrate of your broadcast. For example, if you plan to broadcast your stream in the three common qualities (24k low quality, 64k medium, and 128k high quality), you should have an upload speed of at least 256 kbps (that’s kilobits, not kilobytes). We’d recommend that you don’t actually broadcast Internet radio without an upload speed of around 1 Mbps, just to be safe. For additional speed and reliability, it’s best to use a cabled Ethernet connection instead of Wi-Fi, as it produces a more reliable stream. Broadcasting radio online requires a media server to deliver your audio stream to listeners located around the world. This requires that you either set up a server infrastructure of your own (which is tedious, time consuming, and expensive) or purchase one from a host. DaCast is a streaming host that provides servers for a wide variety of online radio broadcasters, in addition to live video broadcasters. To deliver audio streams, DaCast leverages the Akamai network of global servers—more than 100,000 high-speed servers located in every major city and Internet hub globally that can stream content at high speed by finding the least-congested and most direct path for your traffic. For including previously recorded content in your radio broadcast, playlists are the most convenient and simple method. M3U8 support means that live Internet radio on DaCast can include a playlist of content scheduled in advance. Packages allow for a variety of content to be placed within a single audio player window. This allows for a variety of other value-added options that can be accessed by the user from an in-window menu in the audio player. One common issue with online radio is geographic restrictions relating to licensing of specific pieces of media like music and advertisements. These restrictions have prevented many radio stations from going online, but DaCast offers a way to get around this issue: a set of IP restriction tools that prevent your live radio stream from being accessed outside of countries that you specify. Or, if you simply want the biggest audience, you can open your stream to anyone. With support for a wide range of advertising providers through the DaCast API, you can monetize your broadcast using our built-in payment system that allows you to make your events events pay-per-view, sell subscriptions, or simply solicit donations from your listeners. DaCast is a simple, plug-and-play system that is easy to set up and use. Our free trial enables you to get your system online and test out the technology without having to shell out a single penny (or even your credit card number). Could you guys also address the issue of radio stations live streaming select video shows as well? Thank you reading us John! You do realize that the majority of internet radio broadcasts are subject to copyright and royalty requirements for the content that is being broadcasted right? What type of interface does DaCast provide to track and report those royalties to the collecting agencies? You are obviously trying to force a video live streaming solution into a new vertical market that you do not understand! By encouraging customers to stream their most likely copyrighted music/content over the web through your platform you are exposing them to fees that you obviously don’t understand or care about given that you did not even mention them in this article. Thanks for writing! Many of our customers are radio and TV stations that need a simple way to get their existing content online. DaCast provides a great solution to this. And of course we are deeply concerned with copyright issues (we recently wrote this blog on the topic: http://bit.ly/1MG4ffS ).